Check out all our Meal Specials and Daily Drink Specials too! Search a wide variety of beers available at Whistle Binkies by style, country and more. 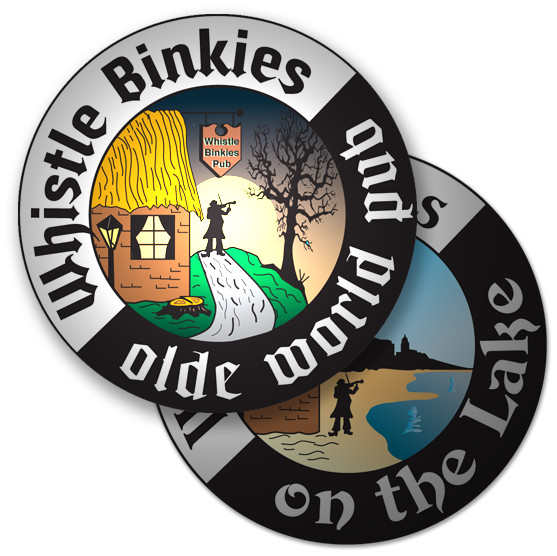 We know what you’re thinking… what is a “Whistle Binkie?” A Whistle Binkie is a Scottish term for a traveling musician who plays weddings or gatherings, usually for small change. The word “Pub” comes from the phrase public house. In Great Britain, this is what your home was called if you served your friends in the neighborhood a good pint. Later on (probably at the encouragement of the lady of the house) the drinking spot was moved to a building of its own. That’s why Pubs still have living room-style furniture. The term Pub is still used to this day!